Last night's deal that finally brings Spider-Man into the Marvel Cinematic Universe and Phase 3 has also affected Sony's plans for their Sinister Six spinoff. According to The Wall Street Journal, Sony has pushed The Sinister Six out of its planned November 11, 2016 release date, as they continue to develop and "rethink" their plans, in the aftermath of this groundbreaking deal. Drew Goddard remains attached to write and direct The Sinister Six, but, in the wake of this news, it's possible that the studio may have him write a completely new draft of the script. At the end of The Amazing Spider-Man 2, fans who downloaded the Shazam app were given a tease of the villains that may have been included in The Sinister Six, such as Rhino, the Green Goblin, Doc Ock, Kraven, Vulture and Mysterio. Those villains were never confirmed as the actual Sinister Six lineup, so it still remains to be seen which of Spider-Man's enemies will appear in the sequel. Since Spider-Man is being completely rebooted once again, The Sinister Six may have to do so as well, since villains such as Rhino and Green Goblin existed in The Amazing Spider-Man franchise. With Andrew Garfield most likely not returning as Spider-Man, it's possible the characters could stay the same, but they may also be re-cast. 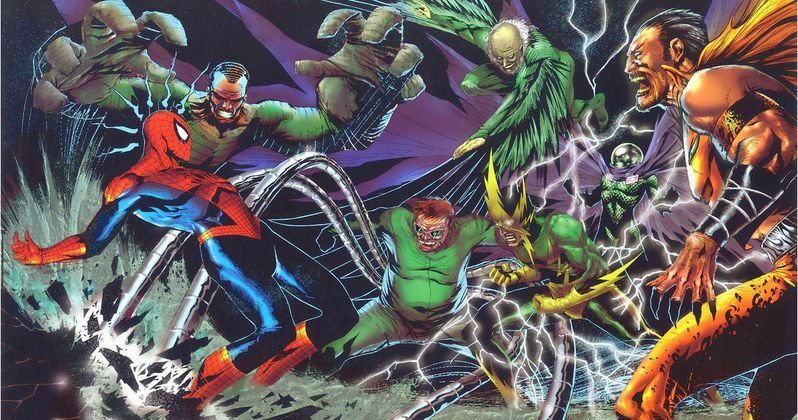 What characters would you like to see in The Sinister Six?